The head of Telekom Austria, Hannes Ametsreiter, has unexpectedly announced he will leave the company “soon” and “voluntarily” after more than five years in the job. 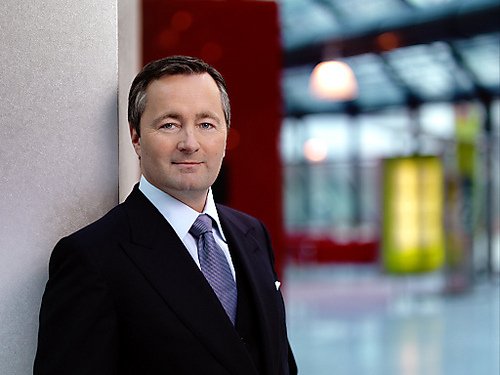 Ametsreiter has resigned and will leave the company, which is majority owned by Mexican tycoon Carlos Slim, at the end of July Telekom Austria confirmed on Monday. Telekom Austria’s shares were down 2.7 per cent at €5.81 in late morning trading. The company didn’t give a reason for Ametsreiter’s decision. Two sources told Reuters news agency that the move came as a surprise, and there was speculation that he has been offered another job. A report in Die Presse newspaper suggested that Ametsreiter may have been forced to resign because of pressure from Slim’s America Movil. Ametsreiter’s contract was set to run out at the end of 2016 and had an extension option until 2018. Slim has said he wants to use Telekom Austria as a base for further expansion into central and eastern Europe. He introduced Alejandro Plater as Telekom Austria’s new chief operating officer in March. Should no successor for Ametsreiter be appointed by the end of July, Plater as deputy CEO would take over in the interim period.